Envigreen Biotech India has come up with organic biodegradable plastic bags which are made from starch. We may not believe but it’s true. 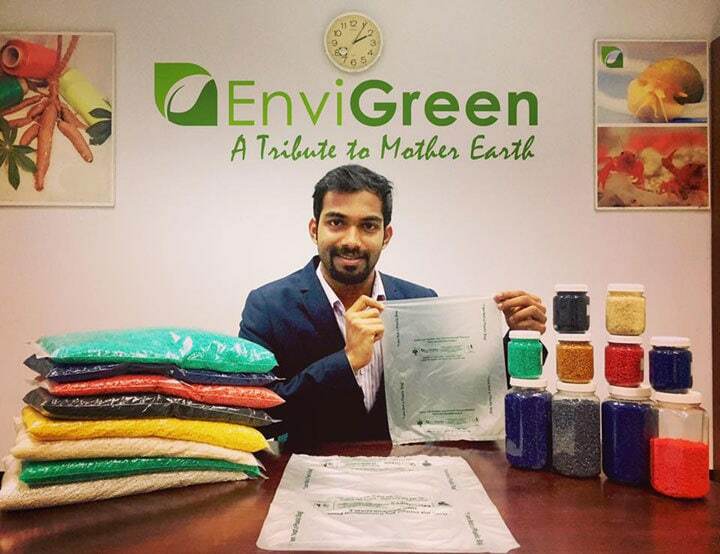 Ashwath Hegde, a Mangalore-born but now Qatar-based NRI entrepreneur is the man behind Envigreen. This idea came to his mind in 2012 when the Government put a ban on the use of plastic. 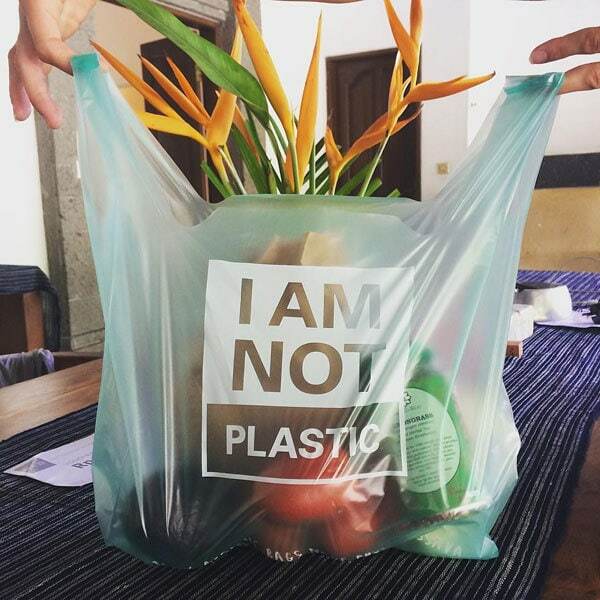 This plastic manufacturing process comprises of creating bags using 12 ingredients – potatoes, tapioca, corn, natural starch, vegetable oil, banana, and flower oil. These ingredients are liquefied and taken through a six-step process. This process, does not use any chemicals and even the paints used to print on the bags are all natural and organic. It can carry the same weight as any other conventional bags, with the largest being able to lug 8-10 kilograms. 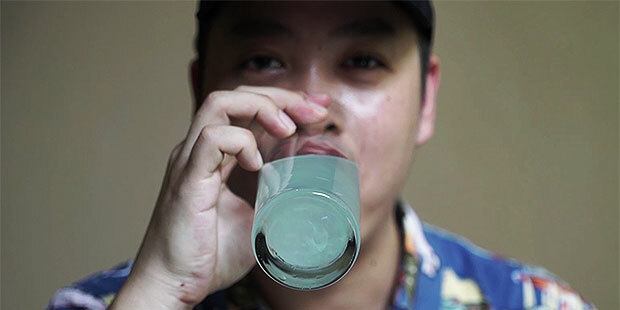 When discarded it takes 180 days to degrade naturally So users can throw them away without worrying about harming the environment, and if placed in a glass of normal water it dissolves in one day. In boiling water, it dissolves in 15 seconds. The best part of it is it has no impact on animals when ingested.To prove it edibility Ashwath Hegde himself ate the bag after dissolving it in water. The cost of one EnviGreen bag is about 35% more than that of a plastic bag, but 500% less than that of a cloth bag. “To give you a rough idea, an EnviGreen bag measuring 13 inches by 16 inches costs Rs. 3, while a plastic bag with the same dimensions will cost Rs. 2”. Due to its unique composition it is widely considered in the world as one of the lowest cost for bio-plastic.